Avendus Capital, Inc. advises Outsource Partners International (OPI) on its transaction with ExlService Holdings, Inc.
ExlService Holdings, Inc. (“EXL”) (NASDAQ: EXLS), a leading provider of transformation and outsourcing services, today announced that is has signed a definitive agreement to acquire Outsource Partners International (“OPI”), a leading global provider of finance & accounting (“F&A”) outsourcing services. With this acquisition, EXL establishes itself as one of the leading third-party service providers in global F&A outsourcing. The aggregate consideration for the transaction will be $91,000,000, subject to adjustment based on working capital, OPI’s debt and certain transaction expenses. The transaction is expected to close during the second quarter of 2011 and is subject to customary and other closing conditions. Avendus Capital Inc. was the financial and strategic advisor to OPI in this transaction. 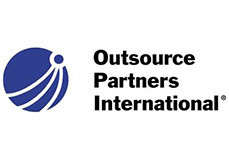 Outsource Partners International (OPI) is a professional services firm dedicated to the outsourcing of finance & accounting business processes, analytics, and related consulting and advisory services. OPI has more than 3,700 professionals operating in its offices throughout the United States, India, United Kingdom, Bulgaria and Malaysia. Benefits realized by OPI clients include improved efficiency, effectiveness, flexibility, quality, and compliance. ExlService Holdings, Inc. (NASDAQ: EXLS) is a leading provider of outsourcing and transformation services. EXL's outsourcing services include a full spectrum of business process outsourcing services from offshore delivery centers requiring ongoing process management skills. Transformation services enable continuous improvement of client processes by bringing together EXL's capabilities in decision analytics, risk and financial management and operations and process excellence services. Headquartered in New York, EXL primarily serves the needs of Global 1000 companies in the insurance, utilities, banking and financial services, transportation and logistics, and travel sectors. Avendus Capital Inc. is the wholly owned US subsidiary of Avendus Capital Pvt. Ltd. ("Parent") which, together with its group companies, is a leading financial services firm with a strong transaction record and established relationships with companies and investors. Avendus Capital, Inc. uses its unique domain and industry focused approach for M&A advisory and private placements for growing companies. The Indian Parent also offers services* such as structured finance advisory, equity capital markets, institutional broking, alternative asset management and wealth management. Headquartered in Mumbai, Avendus Capital Pvt. Ltd. has offices in New Delhi and Bangalore; and wholly owned subsidiaries in New York and London.